I grew up in Ann Arbor, and as buildings and businesses change and get torn down, I become more aware of the dwindling remnants of the town I remember from earlier times. 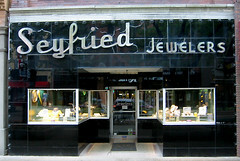 This is a classic "moderne" storefront. 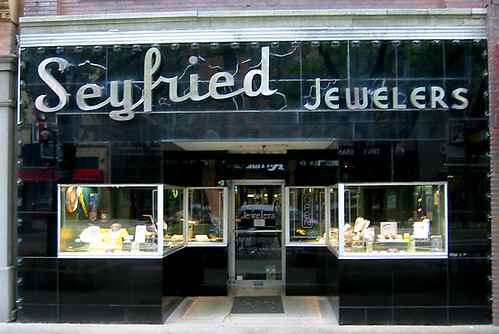 I don't know anything about whether there are still Seyfrieds running the business, but it would be sad day if this got remodeled into some chain sandwich shop.